When it comes to magic with pens, this is the flagship of props. 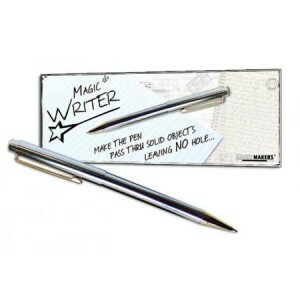 You show a spectator that you have stabbed your pen through an envelope or a bill leaving no hole! The pen gimmick is completely self-contained. Best of all, the entire pen can be handed out for examination.